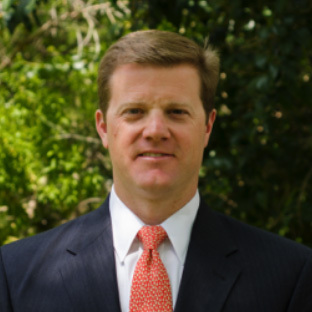 Scott A. Carr | Carr Development, Inc.
Scott A. Carr serves as the President of Carr Development, Inc. For the last fourteen years, he has been responsible for initiating and overseeing commercial real estate transactions and developments in Central Texas. Throughout his eighteen-year tenure in the industry, Scott has successfully completed approximately four million square feet of transactions comprised of leases, acquisitions, developments, redevelopments, land acquisitions and land assemblages totaling nearly $300 million. Scott was born and raised in Austin, Texas and graduated from The University of Texas at Austin. Following graduation, he was hired by one of the premier commercial real estate firms in the country, then known as Cushman Realty Corporation, which later merged with Cushman & Wakefield, Inc. During his time at Cushman & Wakefield, Inc., Scott represented many prominent companies while focusing on tenant representation and real estate consulting services in Texas and throughout the United States. Actively involved in the community, Scott is currently or has previously been involved with the following organizations: Real Estate Counsel of Austin (RECA) – Board Member; Austin Commercial Real Estate Society (ACRES) – President and Board Member; Greater Austin Crime Commission – Board Member; Greenlights for Nonprofit Success (Now Mission Capital) – Executive Committee Member; Austin Breakfast Group – Founding Member; International Council of Shopping Centers (ICSC) – Member; Urban Land Institute (ULI) – Member; Highland at Mayfield Ranch – Board Member; 1883 Council – Member; Texas Exes – Council Member; Forty Acres Society – Member; R Bank – Advisory Board Member; Young Men’s Business League – former member; Seton Forum – former member; Big Brothers Big Sisters – former Big Brother. As an avid outdoorsman, Scott is a member of Austin Woods and Waters Club, Coastal Conservative Association, and Ducks Unlimited. Scott and his wife Kim have two children, Jack and Caroline.